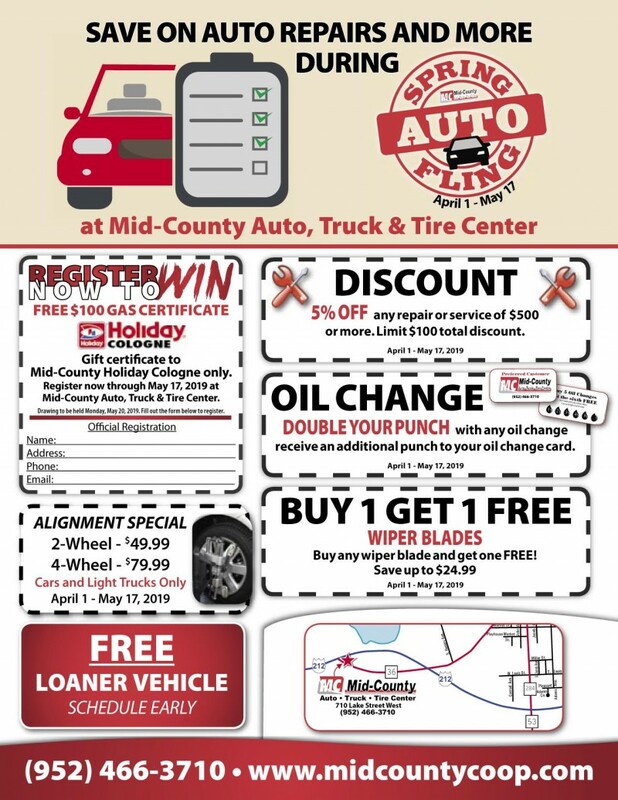 Save on auto repairs and more during the annual Auto Spring Fling at Mid-County Auto, Truck & Tire Center! Click the coupons below for printable versions. Get double the punches with any oil change! Valid April 1 – May 17, 2019. Get 5% off any repair or service of $500 or more. Limit $50 total discount. Valid April 1 – May 17, 2019. Buy any wiper blade and get one FREE. Save up to $32.99. Valid April 1 – May 17, 2019. 2 wheel alignment $49.99, 4 wheel alignment $79.99, cars and light trucks only. Valid April 1 – May 17, 2019. Get a FREE loaner vehicle with any service. When loaner vehicles are available, call early. 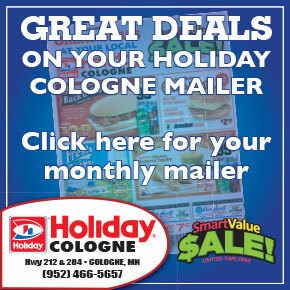 FREE $100 gas certificate to Mid-County Holiday Cologne! Register now through May 17 by clicking the button below, filling out the form and turning it in at Mid-County Auto, Truck & Tire Center. Drawing to be held Monday, May 20, 2019.